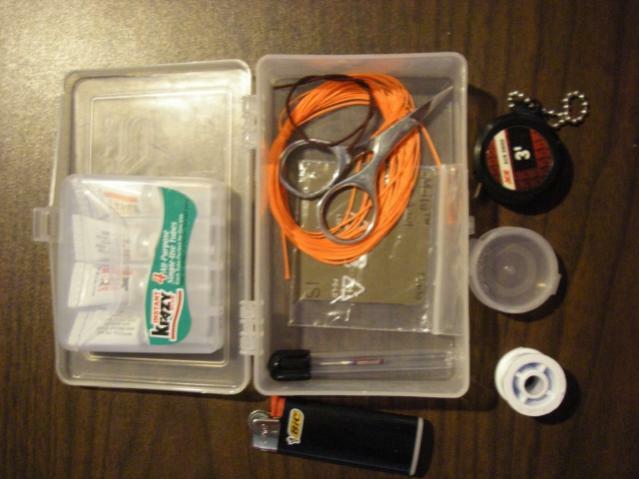 This is a repair and rigging kit that I have put together for Tenkara. I have not broken a rod tip and I don't plan to. But if I do break one on the last section, all is not lost. I have the materials to repair the tip in my box. I'm also starting to use level line more and more. I like to use tippet rings to rig my lines. The little rings are a real pain to take care of but I have found a way that makes the effort worth using them, especially in the field. Below is the list of things that I carry in the kit. As you can see, everything fits nicely into the small single compartment Plano box. It is not large and can be left behind in your kit at home to use there but I prefer to carry this small item of insurance, especially away from home. 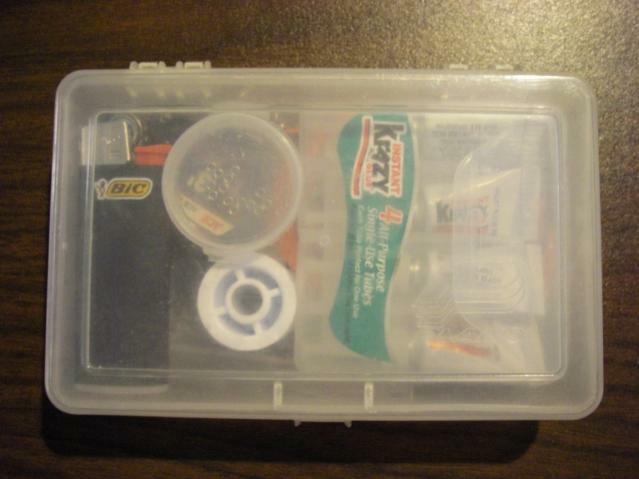 The tippet rings come in a small container. I purchased two orders as I do not want to have to order them again. This container is tiny. 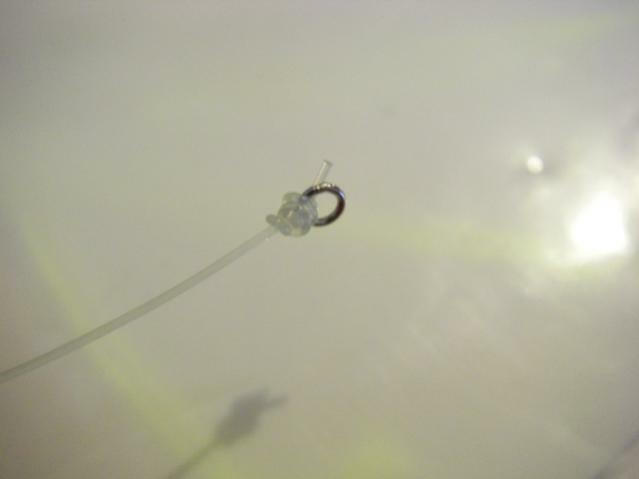 The tippet ring when installed allows you to "fix" the line length. You can use a simple knot to add tippet on to your main line. The problem with that is that the line often has to be cut in order to rig a new tippet onto the main line. With the tippet ring, the tippet if pulled more often than not comes off at the tippet ring. The line length is fixed and does not change. 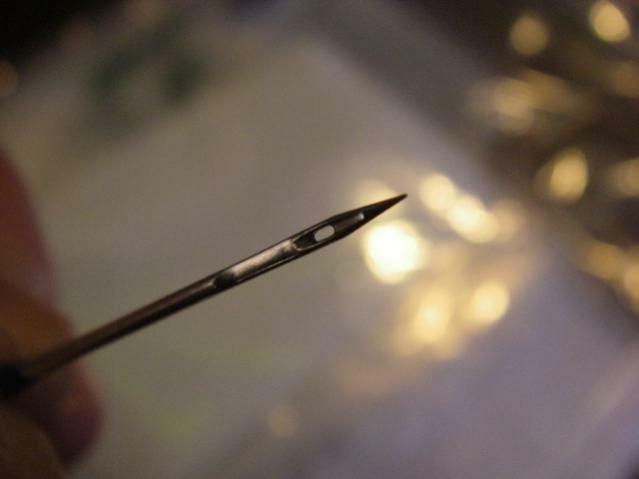 I use a sewing machine needle. It has a groove on the side that allows you to thread the tippet on the needle. This is what makes the tippet ring so easy to instal. 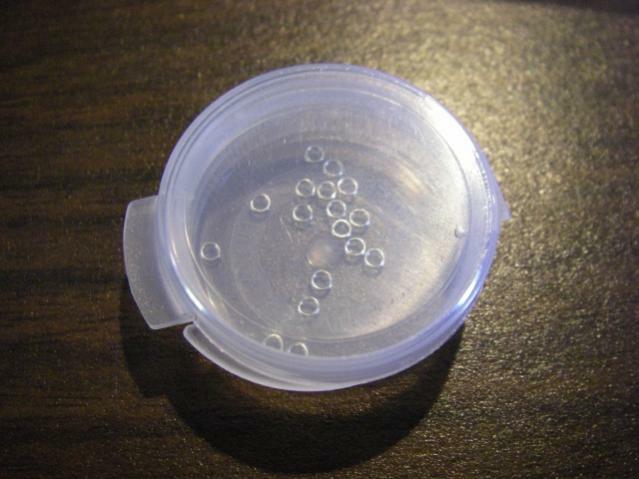 You just use the needle to "pick up" one of the tiny rings in the container. Once the tippet ring is on the needle, it is easy to handle, you just make sure that it does not come off the sewing machine needle. 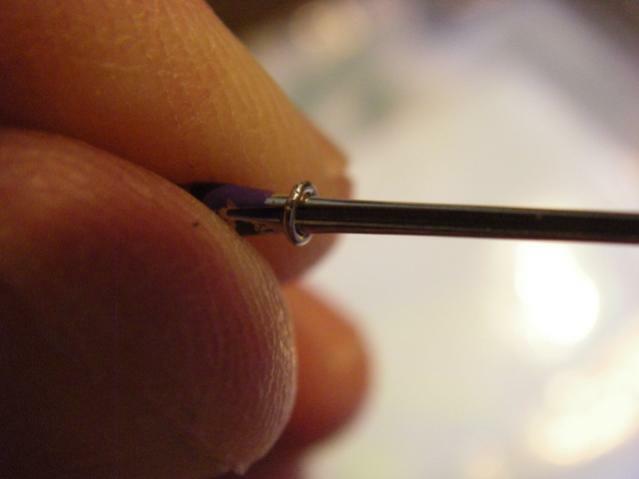 You can then slide the mainline (level line) along the groove in the needle through the tippet ring. 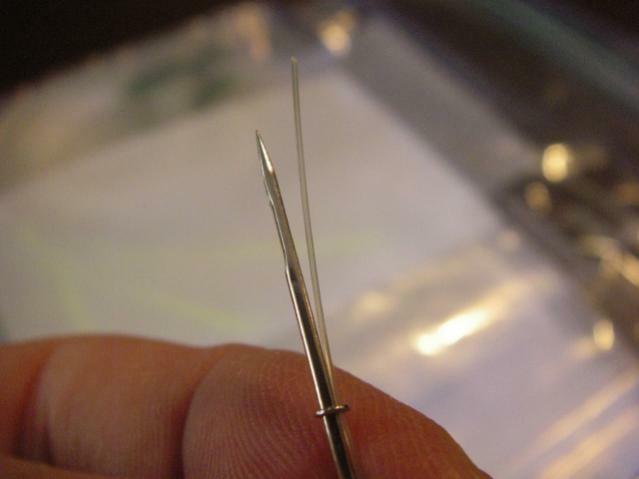 You can then take the needle and use it as an anchor to twist the line as you would tying on a fly. I use the same knot yet I use less twists. The Bic lighter can be used for many things. I use it to finish the ends of level line to make a melted ball on the lillian attachment loop. The little piece of sandpaper is to smooth off the end of the tip section that has broken off. The extra lillian is for the repair on the rod tip section. The Krazy Glue is to fix the lillian whip to the rod section. The Krazy Glue has a multitude of uses on stream as a temporary or permanent repair. The scissors are for trimming. The 30lb Dacron backing is for making the loop end repair on a tapered or braided line. Great kit, I thought you might like to see what I carry.